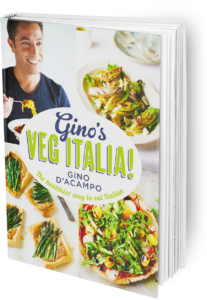 Are you looking for a delicious vegetables recipe with a difference? If you are, you’ve found it! Here’s my grilled avocado stuffed with tomatoes, spring onions, olives & capers for you to enjoy. 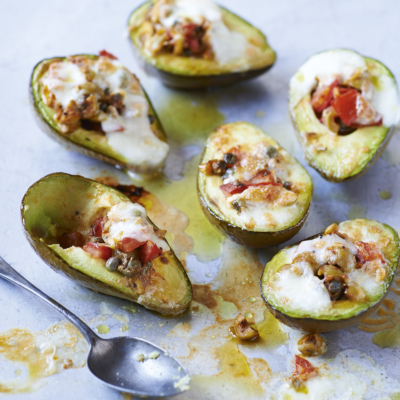 Feast your eyes on the finest grilled avocado stuffed with tomatoes, spring onions, olives & capers! It’s straightforward and fun to make this great dish. Simply follow the instructions below and get the perfect result. Preheat the grill to medium high. Place the avocados on a baking sheet, cut-sides up, and brush the flesh with the oil. Grill for 5 minutes or until the flesh starts to brown. Set aside. Combine the ingredients for the filling in a medium bowl. Divide the filling evenly between the avocado halves. Cut the mozzarella into quarters, then cut each quarter into thirds. Top each stuffed avocado half with 3 mozzarella slices. Place under the grill for 3 minutes or until the mozzarella starts to melt. Grind some black pepper over the top and serve immediately. 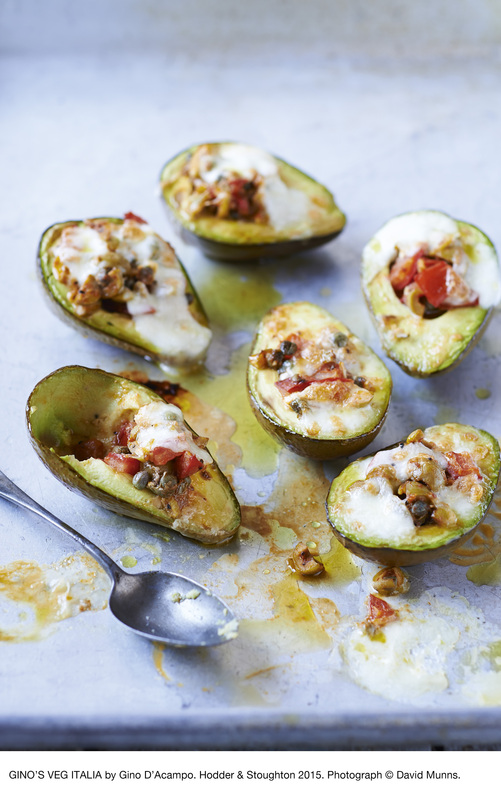 Once you’re done, simply sit back and enjoy your grilled avocado stuffed with tomatoes, spring onions, olives & capers and don’t forget to check out other great authentic Italian recipes including great antipasti recipes, Italian pasta recipes, Italian soup recipes, Italian beef dishes and authentic pizza recipes.